Do John and Tony Podesta Have a Connection with Missing Child, Madeleine McCann? Is television an entertainment media or instrument of control, a ‘control mechanism’? 1986 Continental Indigenous Council, Tanana Valley, Fairbanks, Alaska. Iran has provided the capability for ballistic missile attacks launched from Yemen, a senior U.S. Air Force official said on Friday. Jeffrey Harrigian, commander for southwest Asia at the U.S. Air Forces Central Command, also told reporters while on a visit to Dubai that it was important to find diplomatic solutions to tensions surrounding Lebanon instead of going to war. “What we have seen, clearly from the results of the ballistic missile attacks, that there have been Iranian markings on those missiles, that’s been demonstrated,” Harrigian said. Saudi Arabia, part of a coalition carrying out bombings of the Iran-allied armed Houthi movement in Yemen, has frequently intercepted missiles fired from its neighbor. 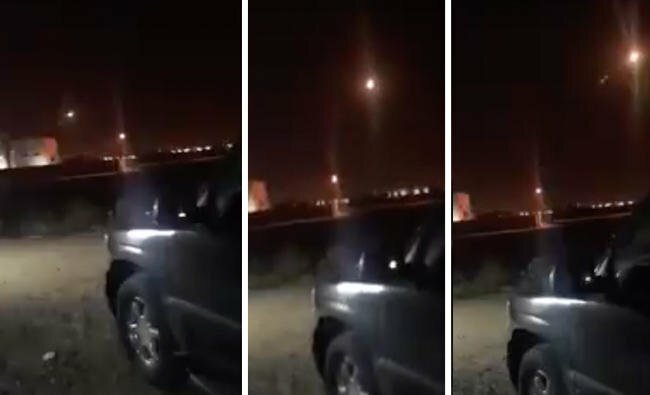 Early this month, Saudi air defense forces intercepted a ballistic missile fired from Yemen over the capital Riyadh, state news agencies reported. The missile was brought down near King Khaled Airport on the northern outskirts of the city and did not cause casualties, the reports said. Meanwhile, Saudi Arabia has accused Lebanon and its Shi‘ite Hezbollah movement of declaring war on it. Riyadh has advised Saudi citizens not to travel to Lebanon, or if already there to leave as soon as possible. “With respect to Lebanon, I think the goal will be to try to find diplomatic solutions,” Harrigian said. I’m no “weapons expert” but although linking Iran to the recent Houthi missile attack may seem obvious it may also be entirely incorrect. Note that the U.S. spokesman provides no evidence whatsoever to substantiate these claims. Perhaps even more significantly, they don’t even specify the type of missile used in the attack on Riyadh. However, don’t expect minor details like that stop allegations about Iranian involvement in the attack. Such claims provide justification for some sort of retaliation against Iran, possibly with substantial military assistance from the U.S. and/or Israel. So without any hard evidence, these allegations can be used to further U.S. and Israeli policy. Just as claims about Yellowcake and Saddam’s Weapons of Mass Destruction were used to pave the way for the 2003 invasion of Iraq. Haven’t we learned from recent history? Or are we going to make the same mistake? Ed.